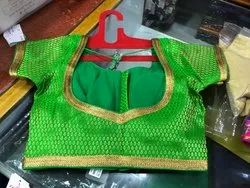 With thorough knowledge of the industry, we are engaged in manufacturing and supplying Ladies Blouse. The range offered by us comprises Ladies Blouse, Designer Ladies Blouse, Trendy Ladies Blouse and Fancy Ladies Blouse. All these blouses are made of high grade fabrics obtained from the authentic vendors of the industry and applauded for their design and pattern. We welcome queries for Ladies Innerwear and Blouses from South India region like Dravida including Andhra Pradesh, Karnataka, Kerala and Tamil Nadu. 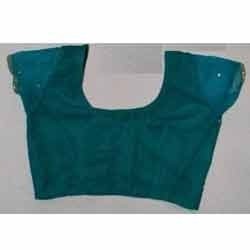 We are recognized as an eminent organization engaged in manufacturing and supplying Ladies Blouse. While tailoring these blouses, our professionals follow latest trends of fashion industry and utilize superior quality fabric sourced from the reputed vendors of the market. Along with this, our experts monitor every stage of production, with an aim to maintain higher quality standards and remove defects, if any. We are recognized as an eminent organization engaged in manufacturing and supplying Blouses For Woman. While tailoring these blouses, our professionals follow latest trends of fashion industry and utilize superior quality fabric sourced from the reputed vendors of the market. Along with this, our experts monitor every stage of production, with an aim to maintain higher quality standards and remove defects, if any. 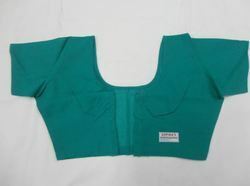 We are recognized as an eminent organization engaged in manufacturing and supplying Cotton Blouses . While tailoring these blouses, our professionals follow latest trends of fashion industry and utilize superior quality fabric sourced from the reputed vendors of the market. Along with this, our experts monitor every stage of production, with an aim to maintain higher quality standards and remove defects, if any. 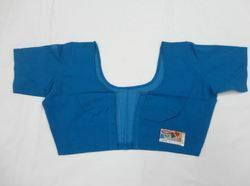 We are one of the leading organizations engaged in manufacturing and supplying Trendy Ladies Blouse. Designed and tailored under the guidance of experienced professionals, these ladies blouses comply with prevailing fashion trends. Along with this, our professionals utilize high grade fabrics to tailor these ladies blouses. Further, to match the requirements of the patrons we offer these blouses in various specifications and in customized range as well. Looking for Ladies Blouse ?